A 50 per cent interest in North Sydney’s only premium grade office and retail tower, Greenwood Plaza has sold for in excess of AUD $300 million– in one of the biggest commercial property transactions for the fourth quarter. TIAA Henderson Real Estate (TH Real Estate) has agreed to acquire a 50 per cent interest in the landmark premium-grade office building 101 Miller Street, North Sydney as well as the connecting Greenwood Plaza. 101 Miller Street and Greenwood Plaza are strategically located in the heart of the North Sydney CBD, with multiple direct access points to North Sydney Railway station. The premium grade tower comprises 27 levels of office accommodation over approximately 37,549 square metres of lettable space, with major tenants including State and Federal Government departments, Genworth and AGL. JLL's Rod Sewell who handled the deal with CBRE's Simon Rooney said 101 Miller & Greenwood Plaza is one of Australia’s limited stock of 35 Premium grade buildings, but more importantly it is the only premium asset across Australia that is outside of a CBD area. “This deal is further evidence of the acceptance of North Sydney as a key investment destination by offshore investors. “This latest sale to TIAA Henderson Real Estate follows two major acquisitions in North Sydney late last year involving foreign investors - Suntec REIT’s purchase of the office development at 177 Pacific Highway for $413.19 million and the acquisition of Northpoint Tower by South African REIT, Redefine Properties Limited and Cromwell Property Group for $278.7 million." The 100 per cent occupied Greenwood Plaza, is the dominant shopping centre in North Sydney providing approximately 8,777 square metres of lettable retail and food tenancies serving 18 million people each year. 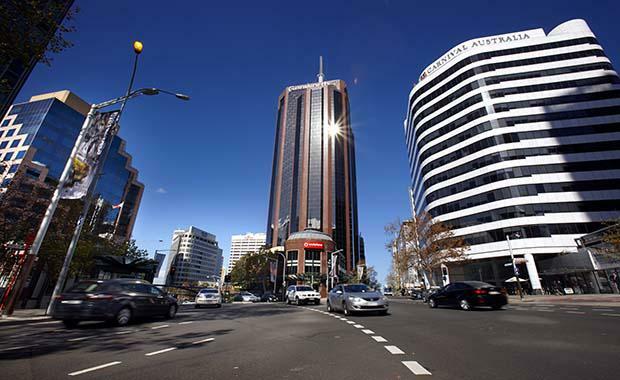 Mirvac will maintain 50 per cent ownership of the office tower and Greenwood Plaza on 101 Miller St, but will continue to operate 100 per cent of the asset. Nick Evans, Executive Director and Head of the TH Real Estate business in Australia, said the acquisition is a strategic move into owning dominant retail and commercial properties. “The acquisition of a 50 per cent interest in 101 Miller Street and Greenwood Plaza fits our strategy of owning dominant, well-located, well-leased office and retail properties that cater to today’s occupier needs, in the world’s most attractive real estate markets,” Mr Evans said. “The exceptionally well-located complex offers a diverse income stream from retail and commercial tenants, including car park spaces for approximately 547 vehicles and multiple interconnecting access points to North Sydney train station. The deal marks TH Real Estate’s second acquisition announcement in the past month, following its announced intention, on 7 October, to acquire a 75 per cent interest in the regional shopping centre, Mt Ommaney Centre in Brisbane.